Absolutely gorgeous Jade Model in fabulous Canyon Lakes! 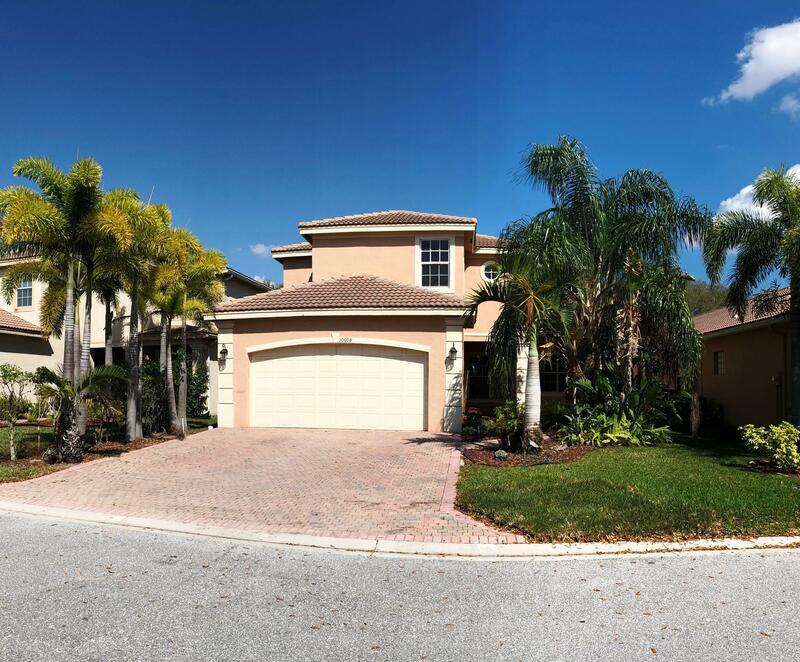 This beautiful 6 bd 4 ba home features a huge eat-in kitchen with wood cabinets, glass panel inserts, granite counter tops, a full granite back splash & stainless steel appliances. 2 bedrooms & 1 bath downstairs that can be used for nanny or in-law area. Beautiful new vanity in upstairs bath, brand new carpet throughout. Enormous master suite with sitting area/exercise area as well as his & her bathrooms. Home is equipped with HURRICANE impact windows (2nd floor) & hurricane panels (1st floor) Close to Canyon Town Center, Delray Marketplace & new Cobblestone Commons. Wonderful clubhouse with kiddie pool area next to resort style pool, tennis courts, kids play area, gym and picnic area available for parties. A rated schools.